My two-year-old daughter has been on a Toy Story kick for the last, oh, three or four months now I guess. Actually, it started with Toy Story, but has since expanded to include The Incredibles, Shrek, and just recently, Monsters, Inc. It has reached the point where she can tell me what movie I’ve put in just from the first image that appears on the TV after starting the DVD. She’s taken to reciting certain lines from memory, and re-enacting scenes from the movies with her Fisher Price little people. I realize that some people may object to my parenting style and claim that this is not a healthy way to raise a child; I say it’s got to be healthier than living in a closet, which is where she’d be if I couldn’t get her off me for a few minutes at a time. I swear it’s like having a spider monkey with attachment issues. Woody: Hey, Cinds. How ya’ doin’? Cinderella: I’m alright, thanks, Woody. Although my gout’s been acting up, and my sciatica is just horrible this week. Woody: Aww, that’s too bad. Hey listen, the bigwigs around here want to make a change. They think I should start livin’ at the castle. I guess most of the target demographic already think it’s mine, and our fearless leaders don’t think it’s pr-smart to get 'em all confused about it. Cinderella: Goodness, Woody! I’ve been living here since 1955. And, excuse me for saying it, but, you’re a . . . well, you’re a cowboy. Woody: And what of it, toots? Do you know how much my films have grossed? 2 billion dollars. With a ‘B.’ Billion. How have you done, Cinds? 80, maybe 85 million? I racked mine up in 25 years; you’re 60 plus, and you haven’t even sniffed 100 mil yet, unless you sniff me, that is. Cinderella: That’s not fair, Woody. You have to adjust those numbers for inflation, and you must remember there were far fewer theaters at that time, and don’t forget, international receipts weren’t counted as part . . .
Woody: C’mon Cinds, wake up. You had a great run, but there’s a new sheriff in town. You’ve got the primo pad in the Magic Kingdom, and I’m livin’ in this shack over in California Adventure. It just doesn’t look right. Times have changed, Cinds. This is what the higher-ups want. What am I supposed to do? Cinderella: Well, couldn’t you let me stay, Woody? I’d be willing to move to the guest quarters. Woody: Oh, don’t do this to me, Cinds . . .
Cinderella: No, no! I don’t mean the nice ones; I’ll move to the bottom one, you know, down where the scullery maid is, er, was, living. Woody: Look, I’d really love to help you out. But Lasseter’s already got it all worked out, and besides, Bullseye’s gonna need a stable. Woody? Jealous? Don't be ridiculous. Woody: (to himself) Geez, why didn’t I let Ratzenberger do this for me? The guy volunteered and everything. I told him, ‘I’m a sheriff. It’s a sheriff’s job to deliver eviction notices.’ Just can’t stand to tarnish the image. Geez, when will I learn? It’s just a role . . .
Cinderella: (still sobbing) Where will I live? Woody: Oh, hey, that’s the best part, Cinds! Lasseter’s having them build you a new place, you know, somewhere a little quieter, where you don’t have to be worry about being woken up by screaming parents during your naps. Woody: It’s a great location, Cinds. Perfect. It’s just by the Innoventions Pavilion. Well . . . beyond actually. Cinderella: Oh, Woody, he can’t do that! It’s so far from everything . . . Nobody ever goes over there. 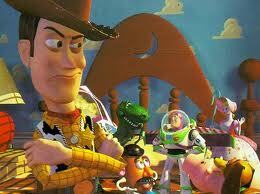 Woody: Well, they’re a little pressed for space right now. Maybe something better will open up down the road . . . you know how it is. Hey, until your place is ready, they’re willing to let you sleep in that little room at the top of the Matterhorn. Woody: I’ve heard they refurbished after she went to detox. It’s supposed to be nice. Cinderella: No, it’s not nice. The water leaks, the whole thing shakes like crazy every 15 seconds, and you have to listen to that dreadful howling from open to close every day. Woody: I was told they fixed a lot of that stuff. Cinderella: It doesn’t even have an elevator, Woody. What about my sciatica? Woody: Well, I guess it is less than ideal. But it’s only temporary. Look, Cinds, I’ve got to get going. Let’s eat lunch. I mean, at the same time. You know, the next time you can make it past 10:30. Call my personal assistant, Ratzenberger; he’ll schedule it. Cinderella: Woody . . . ? Woody: Sorry, Cinds. Got a meeting with the team. Lightyear said something about Toy Story 4. Sometimes I think I couldn’t stop making money if I tried. You know how it is . . . well, um . . . sorry. Anyway, see ya! I find the idea of Woody evicting Cinderella so humorous that that I begin to giggle, which Maria takes as a sign of approval and, squealing with delight, chucks her sippy cup at my head. But as I’m cleaning up the spilled apple juice and vacuuming up the crushed Cheerio’s, I realize that maybe there is more truth coming from the mouth of babes than I first thought. Maybe it is, or really should be, Woody’s castle now. How many winners come out of that list? 3, maybe 4? Of the movies I saw, Tangled, Bolt, Lilo & Stitch, and maybe Home on the Range stand out. How many of those are better than the weakest of the Pixar movies? On a good day for Disney, maybe 2. Tangled, for sure. After that, . . .
Now ask the same questions for Pixar. 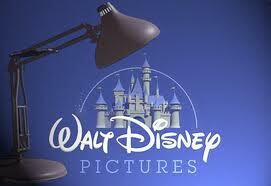 What’s the last great Pixar movie you saw? 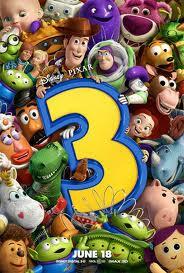 If you’re like 99.5% of human beings alive today, it’s Toy Story 3 (sorry, Cars 2). 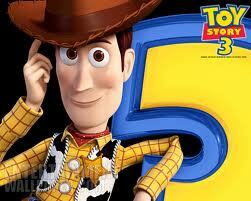 What’s the last memorable character that came from a Pixar movie? Well, if you pass on Cars 2 again, how about Lotso Huggin’ Bear? Big Baby? Barbie Ken? 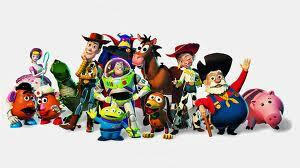 And those are ancillary characters to the mainstays of Buzz, Woody, Jessie, Bullseye, Hamm, Slinky-Dog, Mr. and Mrs. Potato Head, Rex, etc., etc. etc. Additionally, you probably can’t remember the last Pixar-related merchandise you bought, not because it’s been so long, but because there’s been so much. Look around you at stores and restaurants, parks, malls and other places where the public tends to congregate; there’s so much Pixar movie stuff out there even Charlie Brown, Garfield, and Luke Skywalker can’t see them without blushing. It doesn’t stop there. John Lasseter, who started working for Disney right out of college and came to Pixar (at the time called Graphics Group) only after being fired at Disney, is the prime visionary behind Pixar’s rise to power. When Disney finally realized how much of its bank came off Pixar’s backside, they bought Pixar for 7.4 billion, with a ‘B,’ billion, dollars, and put Lasseter at the head of all creative aspects of the animation side, reporting directly, and only, to Disney President and CEO Robert Iger. So, in some sense, you could say it really is Woody’s castle, especially since Lasseter is also now Principal Creative Advisor at Walt Disney Imagineering, which covers all the rides and attractions at Disney’s theme parks (including, you guessed it, Cinderella’s castle). So the next time a Pixar movie comes on and Maria yells “Look Daddy, Woody’s castle! Woody’s castle, Daddy!” I’m sure I’ll laugh again, and duck. But this time I’ll be laughing out of an understanding that it’s funny because it’s true. If you ask me, Disney’s pretty lucky to have Buzz, Woody and the gang there to pull Mickey’s tail out of the fire. 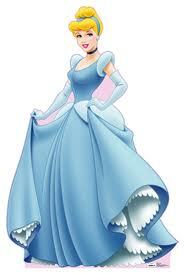 And don’t worry about Cinderella, she’ll get by just fine on the residual checks. You did lock up residual rights, didn’t you, Cinds? I’m sure you did. Hey, I wonder what the castle would look like covered in buckskin? And maybe they can get Stinky Pete to appear at the window, instead of the evil stepmother. Oh, I’ve got all kinds of ideas. Call me, Lasseter; we should talk.